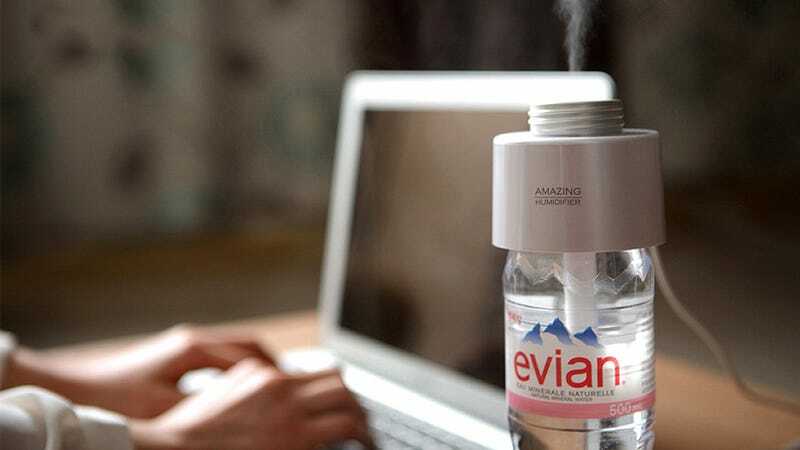 When you name your product the 'Amazing Humidifier' it better be bringing something great to the table. After all, it's pretty hard to get excited over something as mundane as a humidifier. But the fact that this compact version transforms any water bottle into a secret weapon to battle dry skin is, admittedly, pretty amazing. Powered via a USB connection, the $34 compact humidifier is easy to travel with since it uses any-sized water bottle as its reservoir. So the longer you want it to run without a refill, the larger the bottle you'll need to find, but an average-sized bottle should keep it going for up to eight hours. A long filter sponge extends deep into the bottle, soaking up water while preventing unwanted particulates from clogging up the evaporation mechanism. Besides a giant wad of cash, there couldn't be a more perfect travel accessory for your next trip to Vegas.